SOLD! 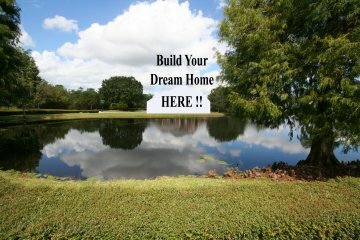 - Lakefront Lot - Build Your Dream Home! - $990,000!! This beautiful lakefront lot is located behind a gated entry which leads into a small enclave of homes in Windermere on a private cul-de-sac! The approach to the site is exquisite and truly unique! An older home previously existed on the lot and has recently been removed; however, the mature landscaping, Pool, Boat House and irrigation system still remain – saving you thousands of dollars in building and finishing costs. Once you enter the gated entry to this enclave you approach brick pilasters which define the entry to this estate site. 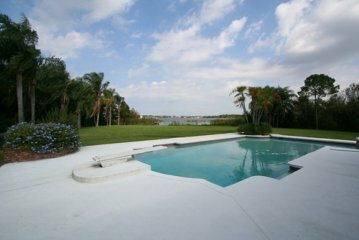 The lot is deep and leads to a beautiful waterfront setting on a private lake with no public access. A long driveway, lined with mature Magnolias, gently winds toward a lagoon at the front of the home site. It is here that you will build your dream home on the shores of this sparkling lake and experience a reflection of your home fronting on this tranquil lagoon every day you come home to this gorgeous site! The Pool and Boat House are in place so no need to include those in your construction costs. The mature landscape is worth thousands and thousands of dollars which means that building your dream home in this unique setting will be accomplished with a great savings. Children can walk to the elementary school from this location. The Millenia Mall with Macys, Neiman Marcus, Bloomingdales and many other stores is only a 15 minute drive away. Disney, Epcot, major hotels and attractions are also 15 minutes away. There is an extensive selection of good restaurants only 15 minutes away. For those you love golfing – the Windermere Country Club is 5 minutes away! Bring your boat, fishing rod and your jet skiis – plenty of navigable water for water sports! This location is very convenient and very much sought-after – but the setting is one you can never duplicate – because there is nothing like it ! The lot is slightly over one acre and is reasonably priced. The owner is a builder and will build your dream home – or you may choose your own builder! This is a “must see”! Truly a beautiful setting!